Known for leading the renaissance and evolution of rustic architecture and interior design, Ann Stillman O’Leary - Evergreen House Interiors is sought after for their distinctive style that is both refined and rustic. Their interiors possess a vitality and timelessness while maintaining comfort and ease. Ann has been featured in numerous national publications and television segments including: Country Living, “The Today Show,” and HGTV. She is the author of the bestselling books ADIRONDACK STYLE (published by Clarkson-Potter) and RUSTIC REVISITED (Watson/Guptill). These books have introduced her creative, dynamic work to readers across the globe and secured her reputation as a go-to thinker when it comes to making beautiful and functional interiors. Projects range from restoring a three-room lakeside cottage, to designing an entire family compound, to renovating a university library. In recent years the scope of her work has expanded to include seaside, country, and city projects. Before moving her family to Lake Placid in 1989 to establish her firm, Evergreen House Interiors, Inc., Ann traveled the globe directing the design and product development of home goods for forty-five prestigious department stores, Bloomingdales and Harrods were among them. She pioneered private label branding in decorative home goods, an innovation that changed the industry. Since 1976, our experienced designers and staff have been helping create spaces that reflect your unique style. 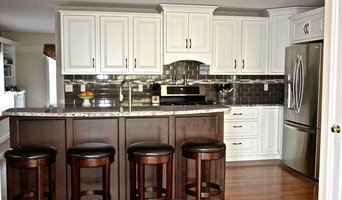 We are a full service company with brand name appliances, cabinetry and products to fit every design and budget. We carry a wide selection of laminate, solid surface and natural stone countertops and hardware to compliment spaces from traditional to contemporary. Whether you’re building new, remodeling, or just want to update your kitchen or bathroom cabinetry, countertops or hardware, we’re here to help make it a reality. You can trust that after three generations we have the necessary experience to make your project a success. Our diversity of strong brands ensures the right fit for any project. Contact one of our designers to start your dream project today! Alice Williams Interiors is an interior design firm located in Hanover, New Hampshire that provides services and products to suit a broad range of lifestyles. My mission is to create beautiful living environments that fit and reflect each client, their style, and their home. Each project is a full collaboration with the client’s tastes, needs, and resources carefully considered and kept firmly in mind. Designing spaces that truly suit each customer and are the best expression of their style is my passion. I believe interiors should be sensitive to the architecture of the house and its surrounding environment, while simultaneously being an expression of its inhabitants. At Wooden Hammer, we work with homeowners, builders, architects and designers, providing high-quality custom cabinetry and woodwork with and eye towards sustainability. Our shop, in Monkton, Vermont, is small by design so we can provide the high level of care and personal service that we are known for. We the time to listen and learn about our customers' cabinetry and woodworking needs and fully invest ourselves in each project we take on. Whether you need new kitchen cabinets, a bathroom vanity, how office built-ins, or a kitchen table, you can expect the highest level of craftsmanship and service from us. We'd love to hear from you and discuss your project! Gilberte Interiors, inc is a full service Design Firm offering a comprehensive selection of resources for both Residential and Commercial Projects. For 50 years, the team at Gilberte Interiors has spent time with home owners and their families listening to what makes being at home special to them. Moving through spaces which focus on scale, lighting, color, and texture can make us feel good without even knowing why. Our ability to keenly listen to our clients, design and solve their interior challenges, fabricate, and then deliver and install their projects is an unusual set of services by an ASID accredited Design Firm, which sets us apart from our competition. We oversee the entire process, working with our clients and their construction teams from conception to completion at no additional cost beyond the materials and products. We accomplish this by providing each client and project fully focused personal attention and service from our team, coupled with our extensive knowledge and experience with the latest products and materials in the industry. 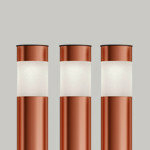 We understand how products work and what materials and applications are best for specific needs. We study how the client will use the space, the furnishings, and the flow before the first changes are made. We are thankful for our extensive roster of repeat clients from Northern New England to Manhattan, Florida, and Caribbean and throughout the northeast. We look forward to working with you on your next project! Stark Mountain is a full service custom woodworking company. 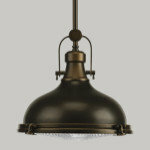 We create elegantly functional and uniquely beautiful products for architects, designers, contractors and homeowners. Our work ranges from custom cabinetry for homes and offices to furniture and architectural millwork for museums, libraries and colleges. We specialize in creating beautiful and highly functional kitchens at a reasonable and sustainable cost to the end user. Call us now to get your project rolling. Berno Designs LLC is located in the Mad River Valley of Vermont and offers skilled services focused on the remodel or new build sectors. Years of experience working with homeowners, local contractors, tradespeople, and installers assures a more successful collaborative process. A custom woodworking company based in the mountains of Vermont, specializing in cabinetry, entryways, and interiors. My ultimate focus is aesthetic. I thrive in creating and building completely unique pieces that are to be treasured for generations. 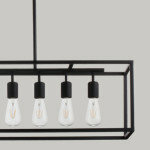 The process of design and creation is as satisfying as seeing a finished piece installed. Whether working one on one with a client, or with an architect, my goal is to accurately render our collaborative efforts through 2D and 3D drawings and or sketches. I am open to any and all ideas, given that the utmost satisfaction of the client is the most important aspect of any job. Vermont is home to an extensive selection of native wood species, whether hard or soft wood. All of the solid wood used in projects is sourced locally and the majority of it is grown within the state. Elliott | Meyers Design is a full-service Interior Design firm founded in 2015 by Vanessa Elliott and Adrienne Meyers. Our client centered business with over 12 combined years of professional design experience aims to not only offer our talent and expertise but also to educate our clients on the process of design. It is the culmination of our love for stylish, sustainable, fresh and timeless interiors and our desire to make impeccable style accessible for everyone. Elliott | Meyers Design offers not only full-service Interior Design but also a Sustainable Design Package which marries beautiful design with an awareness and appreciation for our planet. Our E | Design Package allows us to work with clients without the limitation of location. Elliott | Meyers Design will work with you to create a home that functions exactly as you need it to, while being beautiful and timeless. 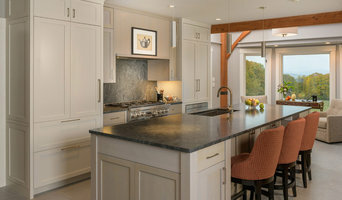 Simpson Cabinetry designs, handcrafts, and installs custom, Vermont-made kitchen cabinets, kitchen islands, bathroom cabinets, furniture, and built-in cabinetry. Made from the finest hardwoods available, Simpson Cabinetry crafts and finishes each detail with the intent that your product will become an heirloom. Simpson Cabinetry projects have been featured in many magazines and design books including New England Home, Remodel Magazine, the National Kitchen & Bath Association Innovation & Inspiration Magazine, Better Homes and Gardens Kitchen & Bath Ideas, Fine Homebuilding Kitchens & Baths, Vermont Trend Watch, Vermont Business People, Fine Homebuilding's "Through the Lens" blog, and Taunton Press's Kitchen Ideas that Work. Founded in 2002 by master cabinetmaker, Bruce Simpson and purchased In January 2012 by Betsy & Andy Cabrera, Simpson Cabinetry has been making fine cabinetry for nearly 15 years. 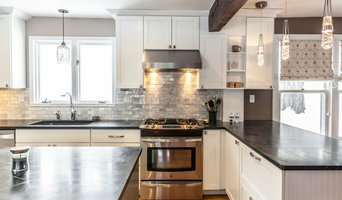 With a team of 13 talented craftsmen & installers, most of whom have been with the company for over ten years, Simpson Cabinetry produces some of the finest cabinetry in the northeast. The company also has two CAD design specialists, each of whom have nearly 10 years’ experience in CAD design. Visit our newly constructed 8,300 sf shop and showroom in Essex, Vermont to meet the team and see the difference - we'd love to make your dream project a reality! Alex McKenzie, Owner of Cypress Woodworks is the fourth generation of woodworkers in his family. With every project large or small, Alex brings his years of experience and true passion together to create a product that is beautiful in both form and function. 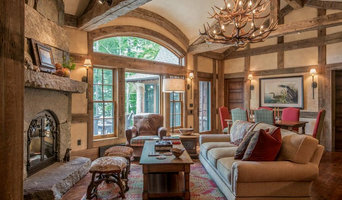 Cypress Woodworks specializes in everything from energy efficient custom homes and remodeling, to fine finish work including furniture and cabinetry made from a variety of hardwood and historic reclaimed lumber. The client can be assured that when working with Cypress Woodworks, their every need can be met from frame, to finish, to furniture. 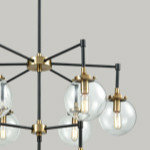 Exceptional design and a devotion to craftsmanship. Design, fabrication, and remodeling installation of kitchens, bathrooms, home offices, media centers, bookcase systems, mudrooms, and free-standing furniture. Since 1985 Woodstock Kitchens & Baths has been helping create interior spaces that are thoughtfully conceived and beautifully designed. We understand your challenges and take care of the details, presenting options and finishes that will achieve your vision. Our years of experience allow us to help you avoid costly mistakes, integrate the latest in style and technology, and design a space as unique as you are. We can work within your budget for a remodel or new construction. We are a full-service design studio working with a number cabinetry brands and we carry a wide countertop selection ranging from laminate to solid surface and natural stone. To complete your traditional, transitional, or contemporary space, we deal in all major brand name hardware to add accents, colors, and textures that create comfort and style. Your new space will be designed around you with ease of use, convenience, and organization in mind. While we primarily work in the kitchen, we can also design and deliver baths, California closets, entryways, mudrooms, laundry rooms, and interior spaces that inspire, evoke feeling, make a statement and are focused on usability.